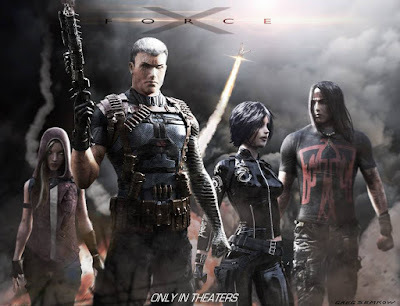 Following a post of Greg Semkow's X-Force conceptual art, there's been much speculation of the potential future feature film. It seems on deck to be fast-tracked due to the immense popularity of Deadpool's marketing, and the image features the "team's line up from the script" which was written by the writer/director of Kickass 2, Jeff Wadlow. Right off the bat we have mainstays Cable and Domino, along with Warpath, Cannonball lrocketing around in the back, and an unknown female on the left. I've seen a lot of rumors that it could be Feral, Wolfsbane, or Boom-Boom, but I'm thinking either Psylocke or X-23 are far more likely. X-23 especially because Hugh Jackman is leaving the character of Wolverine, and that would leave a large opening for a human slaughter machine that is their legacy. I mean seriously, an assassin of the Wolverine bloodline capacity (well, technically a female clone in X-23's case) would be perfect for the black ops wetwork dealings that X-Force is known for. Over the last couple years we've been getting things trickled out, after Days of Future Past, the idea was to focus on X-Force, but apparently that was put on hold because the Deadpool test footage was so well received. That is good because we know that X-Force creator Rob Liefeld had already read the script and said it was, "Beyond impressive." He also confirmed that BOTH Cable and Deadpool were in it. It makes sense to capitalize on Deadpool's popularity despite him not appearing in the artwork above. Since Wadlow had stated the team would have 5 members, and that he was a fan of Wolverine, Colossus, Deadpool, Domino and Psylocke, I have to wonder how the art has a mostly different team. Unless the members come and go depending on the mission? Or there could be casualties. There's also always the possibility for cameos galore. 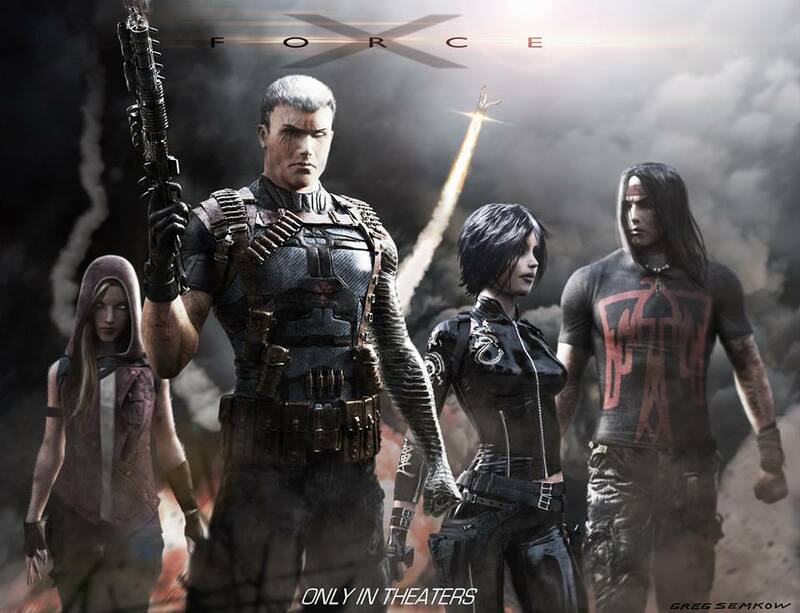 Personally, I really hope X-Force is a go, and that they follow the precedent Deadpool is setting in shooting for a more mature audience. This is supposed to be the dark side of the X-Men, doing the dark works that shouldn't be out in the public. It needs to be bloody, dark, and well-written. I've complained time, and time, and time again about how they've played Wolverine as too angsty and not as badass as they should have been. He's the best there is, and we want to see that on film. "Fox, why can't you get a Wolverine done by a decent writer and director? Where's the team that can compete with Nolan's on The Dark Knight level? I've written enough on the subject of handling this character so poorly plenty of times. About teen angsty Logan mopery, bemoaning his past, and the need for real grit in the series. If Marvel (Edit: Fox) wants to create a series worthy of a man who is the best hunter/killer, they need to really hunker down and focus. We do NOT need another one-note-Wolverine film. He needs to grow as a character, and that still hasn't happened in the X-Men film franchise. Fans are sick of watching him cry into his beer." We want the dark and grim. It doesn't have to be the whole X-Men universe, but at least with the killers of the mutant world, it makes sense. It's time to lose those kiddie gloves.